It might be apocryphal, but the original intention of O and X on the PS controllers was meant to be confirm and cancel respectively. After that proved to be an unnatural mapping that PS games flipped how they worked. In the symbology of Japanese game shows, at least, O and X correspond to "correct" and "wrong," so it certainly doesn't seem apocryphal to me. I've never had much trouble mapping button prompts to their positions. I have Playstation controllers and Xbox controllers and it just must be a thing my brain does for me because I swap seamlessly. The problem I have, like Chris, is when the commands are in the wrong spot. BotW sounds like it's a very special case of putting run and jump in completely the wrong spots relative to each other, but most people probably experience this in Playstation imports where instead of hitting X to continue (cardinal south button) you hit O to continue (cardinal east button). I am opposed to any kind of control scheme that forces me to adopt the claw position just to play it well. Yeah I've heard some people say that you need to do that in Dark Souls, otherwise how do you run and look at the same time? I just don't run and look at the same time. Plenty of time to adjust camera while I recover stamina. I mean, don't get me wrong it works. It's just garbage that after decades of systems it still has to be done. My dad flipped Nintendo controllers over so he could hit the buttons with his fingers instead of using his thumb. He fixed the issue on later consoles by never using them and switching to PC forever. I was literally reading a history of controller evolution yesterday and it parallels this nicely, down to the X cancel O accept discussion and e: I found it! Evidently there is a horrifying fix. Edit: link to this thing. Since everyone be complaining about controllers right now, here's my input: the vive controller wands have grip buttons that you just squeeze to do things. I love the grip buttons! It took some getting used to but they feel great once I did. The grip buttons are great. People make no sense. Grip buttons are the best run button in Dark Souls because you can look around while running. I've seen things like that before. The cure is worse than the disease. I think that BOTW lacks Mario controls because the run/jump function is not central to the gameplay. It's more important to have the run and action or "attack" buttons in easy access rather than the "jump" button. Being able to run and attack quickly is essential to optimally positioning yourself when engaging multiple enemies in battle. As someone else pointed out, running/jumping feels good but if anything offer a bit of a disadvantage as it needlessly drains the stamina wheel. I still enjoy the feeling it gives, though. I've grown accustomed to shifting my thumb slightly when I want to pull off the run-jump combo. I still think the choice is entirely defensible considering which button combinations actually offer gameplay benefit. Of course, if the game offered button mapping players could try both and decide for themselves which works better. With so many other conventions thrown out, it wouldn't have hurt if Nintendo had given us that option. The counter to that is literally no other open world game suffers from this issue. It seems to be the only thing that I've found anyone to consistently criticize about the game (outside of the straight tech stuff). I'm not defending it by any stretch because customizable controls should be required in all games, REAL TALK. But! When you run, and release the run button, there's a bit of an intentional delay to the slowing down phase. I have no problem just sliding my thumb up there and I always succeed. It will continue to drain your stamina while in the air. Until you paraglide. It DOES make you move faster while in the air. Until you paraglide. Basically, as others have said, there's no really benefit to it. But, as others have said, it feels real damn good. Nah, just play with mouse and keyboard and then you can always be looking around easily no matter how you're moving. You have so much greater situational awareness it feels like cheating. M+K Dark Souls = it's basically easy mode. What I don't get about the X Box controllers is that you've got these real nice-feeling analog triggers but then they put shoulder buttons above the triggers so you have to choose between either awkwardly shifting your index fingers up and down between the triggers and shoulder buttons or leaving your index fingers on the shoulder buttons and pulling the triggers with your middle fingers. What kind of monsters shoot guns with their middle fingers? Oh I use headphones as my situational awareness hack. Don't need to see em if you can hear exactly what they're doing. This is true, but the main user base for consoles is going to increasingly skew towards people who don't have the same history and introducing a more functional controller would be an easier adjustment for them. Personally I didn't find it to be a difficult transition at all and I've been gaming since the days of Atari. Then again my brain might have passively prepared itself for this given how much I hate face buttons. 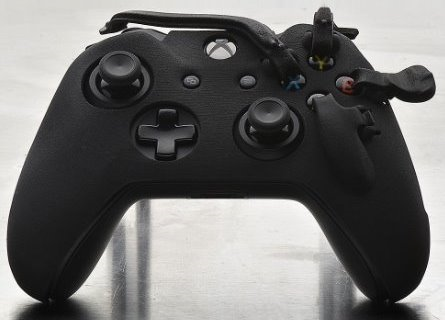 I have an elite controller on Xbox One, and I only use them for games that don't have remappable controls, that also require melee attacks or the like to be effective in first person shooters. 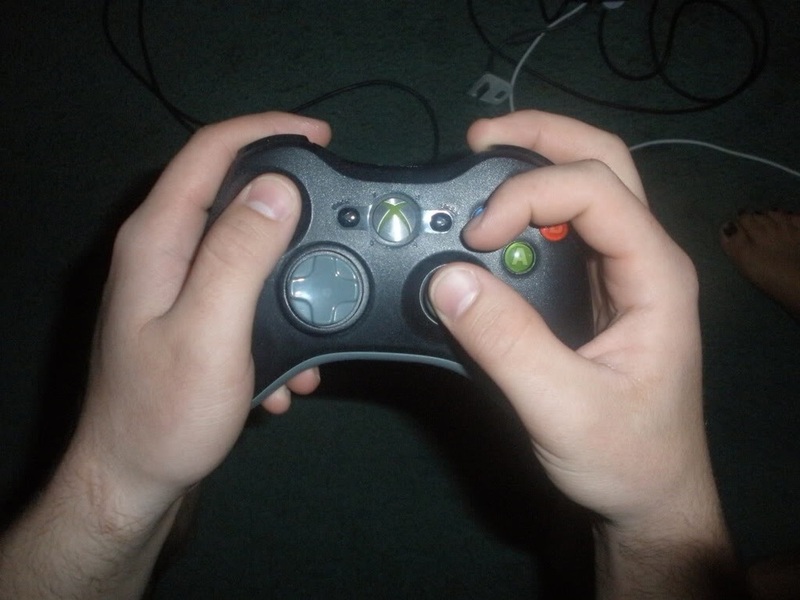 Most of the time they are a pain in the arse because you need those fingers to, you know, hold the controller. It's still totally a thing in Japan (as in, the O means 'Confirm' and the 'X' means cancel). As people have expressed online a common frustration at hitting circle and cancelling instead of confirming.